URBAN-4 DESIGNATION IN OCP, which will allow you to build a fully detached home when LUC expires (GREAT INVESTMENT). Why rent or own a strata townhouse or condo when you can own this single family remodelled home on its own 6000 SQFT fully fenced lot? Recent upgrades include vinyl siding, windows, new cabinets, new counter tops, carpets and laminate flooring, heritage doors and mouldings, hot water on demand system, brand new furnace, and remodelled bathroom. 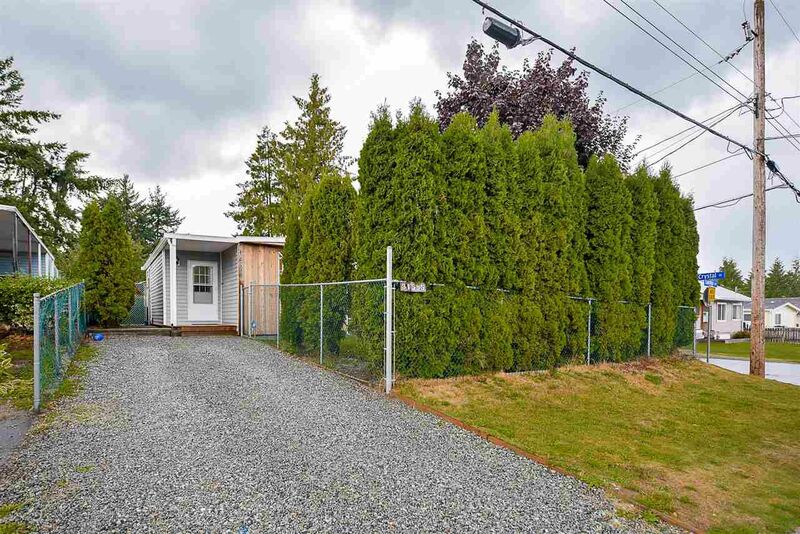 This home also features a covered sundeck, storage shed and a newer roof approximately 8 years old. It also has space for RV parking, as well as 2 SEPARATE DRIVEWAYS (ONE ON SOUTH SIDE, ONE ON EAST SIDE). Great location near neighbourhood park, and quick access to HWY #1!